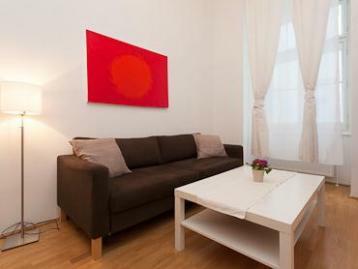 You’d be challenged not to be overwhelmed by a sense of calm upon entering this Vienna apartment. It comes from the thoughtful placement of furniture, soothing colour scheme, pretty pastel-coloured textiles and overall sense of well-being. And if you feel like jumping back into the rhythm of life, the beguiling Innere Stadt is as far away as the front door.